During his time as head sculptor, Jörg Danielczyk (b. 1952) has had a decisive creative influence on the Meissen design language over recent decades. Known among collectors for his sculptures and wall paintings, Danielczyk’s work as head sculptor has put him in the ranks of such Meissen masters as Kaendler, Kirchner, and Leuteritz. A former student of Peter Strang, he is reputed as the artist who can realize the most extraordinary requests. Works such as his "Swan", or "Bald Eagle", created for the foyer of the American embassy in Berlin, testify to the mastery of his craft. The highlight of his oeuvre is surely “Saxonia”, the largest freestanding porcelain statue in the world. In recent years, the degree of abstraction in his pieces has steadily increased. His sculptures and paintings explore and push the limits of representation, advancing porcelain design into new spheres. With his knack for capturing the entire spectrum of human sentiment in his figures, Peter Strang consistently raises the artistic bar. 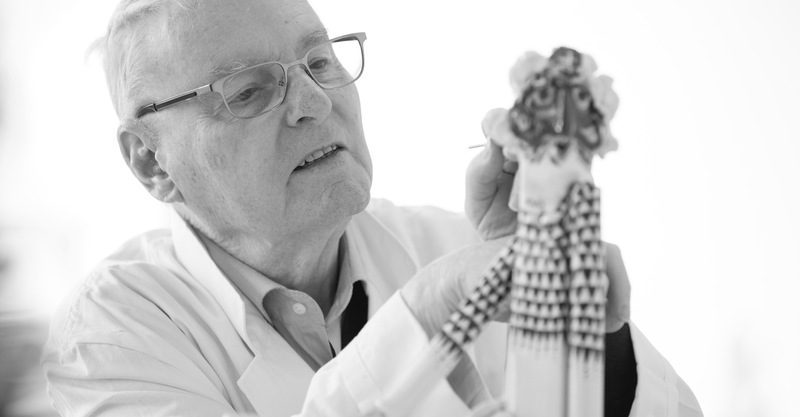 To this day, the 82-year-old former head sculptor is creatively engaged with the work of the manufactory and continues to enchant with his unique figures. In the world of fashion, the ODEEH label founded by Otto Drögsler and Jörg Ehrlich in 2009 stands for an increasingly rare atelier tradition and is one of the few German labels on the international stage to have successfully established itself in the luxury market in recent years. 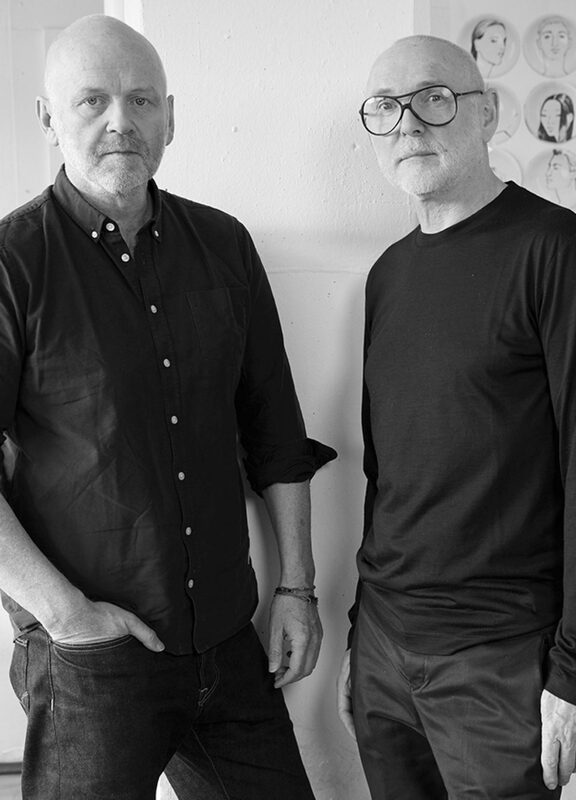 Since 2017, Drögsler and Ehrlich have served as creative directors of the Meissen porcelain manufactory, shaping the direction of the company's product segments as well as the visual representation of the MEISSEN brand. 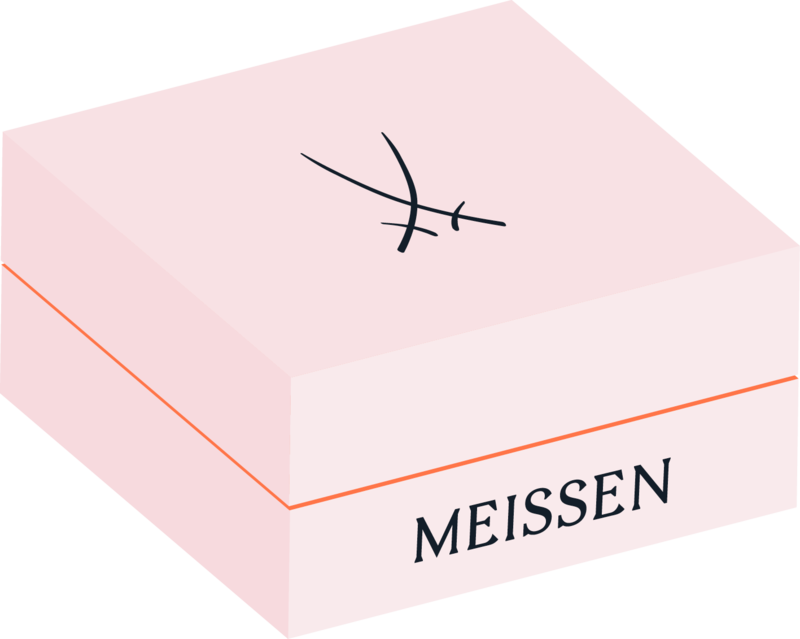 In line with the recently begun rebuilding of the manufactory's design expertise, MEISSEN is returning to the concept of in-house product development in a new way. The creative engagement of the ODEEH designers in the porcelain industry represents a real novelty. In 2017, the first collaboration between the Meissen porcelain manufactory and Olaf Stoy resulted in a series of unique busts. Born in Dresden in 1959, Stoy works in neighbouring Freital. 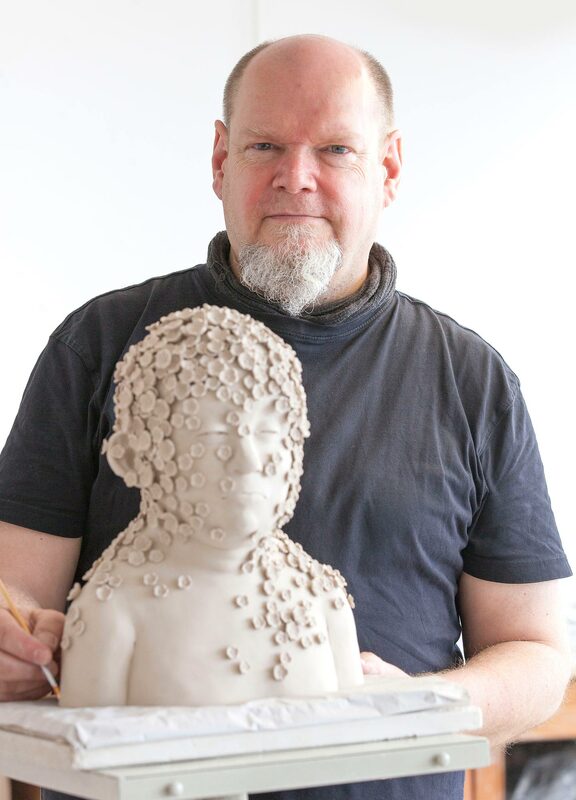 Following his training as a pottery former in the Saxon Porcelain Manufactory of Dresden, he worked while also studying graphics and sculpture at the Dresden College of Fine Arts from 1979-1981. From 1978-2003, Stoy was a mould caster and retoucher and eventually head modeler in the Freital manufactory. Just two years later, he founded his own art and design studio in which he continues devoting himself to working with porcelain. In addition to porcelain, Stoy also has a passion for literature and regularly publishes prose and poetry. Since 2011, American artist Chris Antemann has collaborated with MEISSEN to create a comprehensive range of one-of-a-kind and limited-edition artworks, including the “Antemann Dreams” and “La Maladie” Collections. Inspired by the porcelain figurines of the 18th century, Antemann draws upon an amalgam of design and concept to both examine and parody the relationship roles of men and women. Characters, themes, and events build upon each other and effectively create a language of their own, telling of familiar rituals, social etiquette, and taboos. Chris Antemann lives and works in Eastern Oregon, USA. 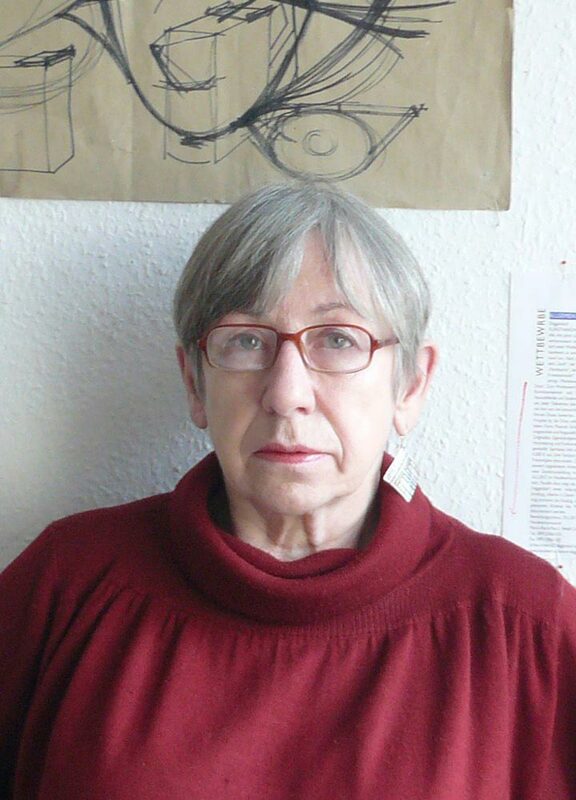 Her works are part of many public and private collections and are widely exhibited in the United States, Europe, and China. 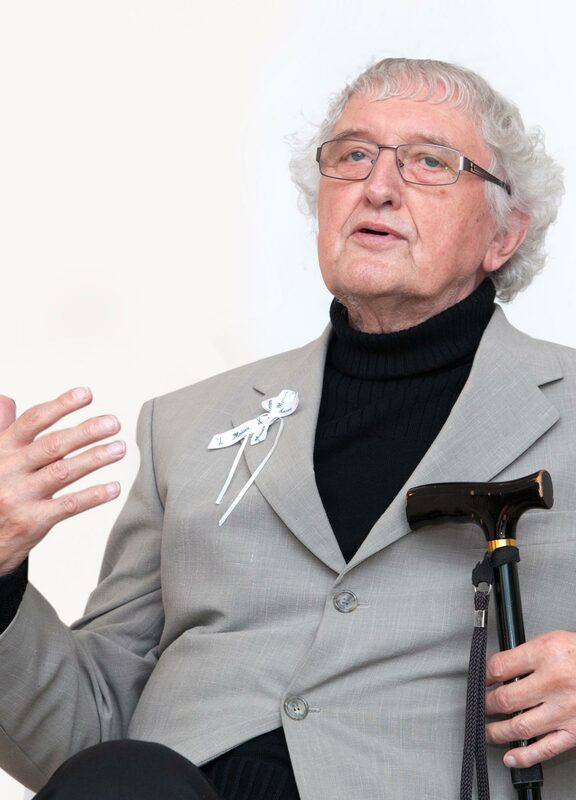 Prof. Heinz Werner (b. 1928) was one of the most important porcelain painters in the Meissen manufactory's Collective for Artistic Development, whose founding members also included Ludwig Zepner and Peter Strang. Werner first joined the manufactory in 1942 as a decoration designer and subsequently created numerous examples of decor that have had a decisive influence on contemporary style. Highlights amongst these are "1001 Nights", "A Midsummer Night's Dream", "Blue Orchid", or "Hunter's Lore". Werner creates scenic miniatures filled with movement, imagination, and joie de vivre, influenced by Eastern fairy tales as well as his travels to places like Japan, Finland, Italy, and Hong Kong. During his time at MEISSEN, he tested and perfected a wide variety of new techniques in the emerging area of wall decoration together with Horst Bretschneider. Gudrun Gaube’s style is characterised by lively shapes and fantastical painting. The unique visual signature of this former form and decoration designer is impressed upon numerous creations of Meissen's modernist style. In 2017, Gaube returned to MEISSEN to decorate unique vases and bowls. 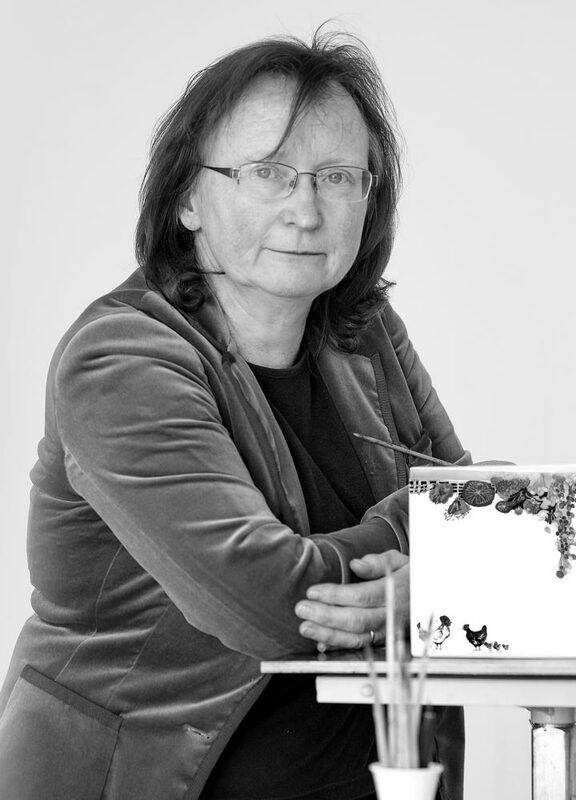 Artist Bärbel Thoelke, born in Stralsund in 1938, is known for her porcelain vessels oriented toward the classical modernist style. 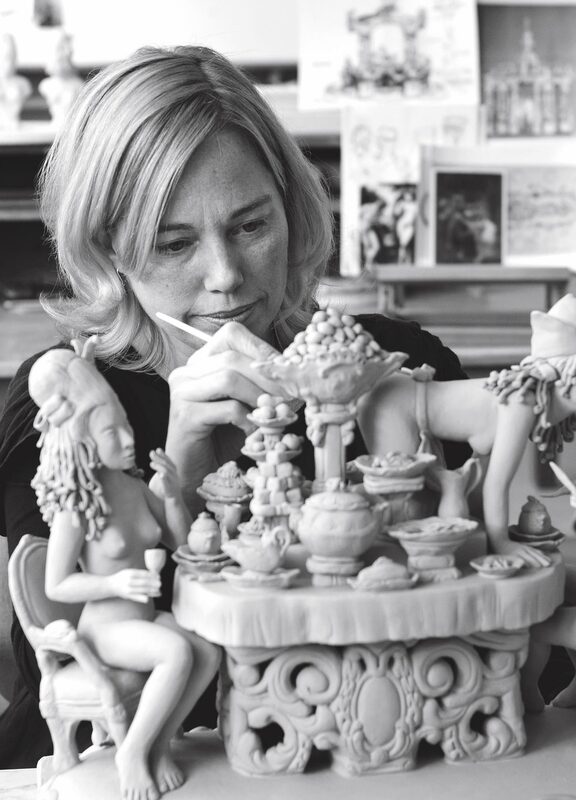 In 2006, 2008, and 2018 she created a number of unique pieces for the manufactory, rendering her singular design language into the finest Meissen porcelain.